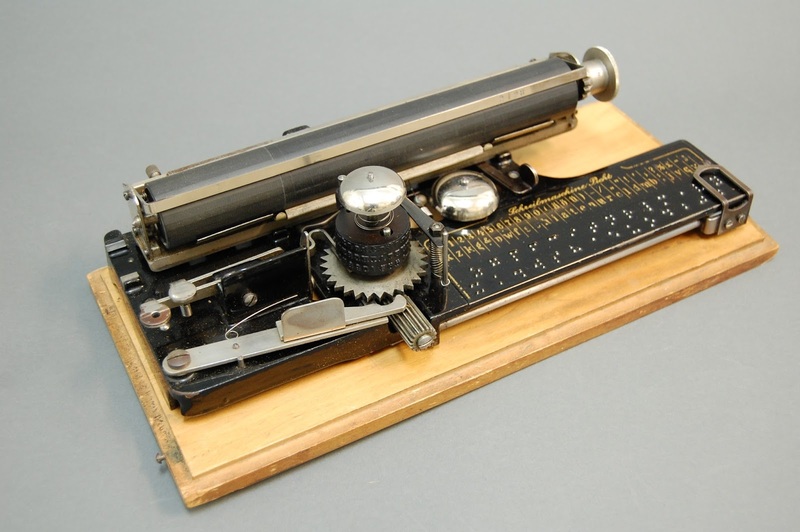 Our object this week is an unusual typewriter developed for blind users. When schools for students who were blind or visually impaired first began, handwriting was an important school subject. Inventers developed a number of handwriting guides—maybe I’ll show you some of those next week. In any event, once the typewriter was introduced after the Civil War, it quickly replaced handwriting, since it offered a quick and accurate way for a blind writer to send a letter that could be read by a sighted employer, friend, or business associate. This is an index typewriter invented by Oscar Picht for blind typists around 1907. Catalogs advertising it exist that date as late as 1928. Index typewriters did not have keyboards. One hand operated a pointer that selected a letter from an index while the other hand depressed a lever that printed the type on the paper. This one is cool because it features a daisy wheel—remember them from the old IBM Selectric typewriters? Oscar Picht (1871-1945) held multiple German braillewriter patents. 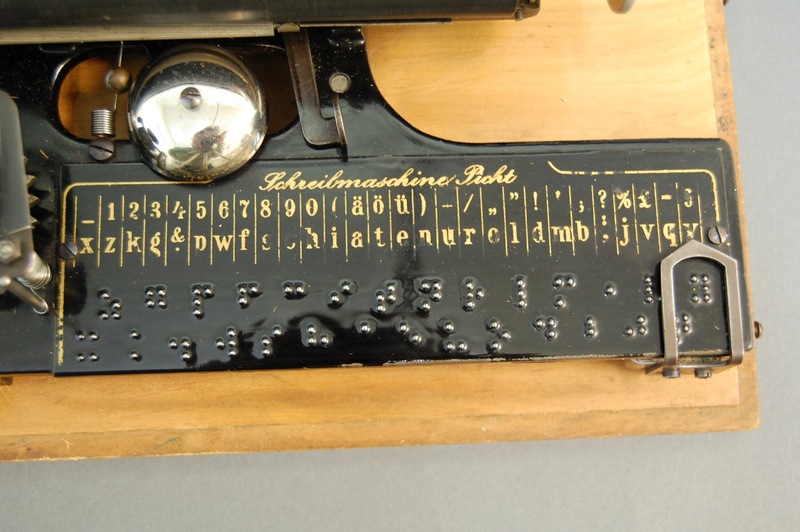 He invented the first German braillewriter in 1899 while teaching at the State School for the Blind in Berlin, Germany. But, like all teachers at schools for blind students, Herr Picht realized his students also had to communicate with the sighted world, and invented this little beauty. Incidentally, index typewriters were originally invented for the sighted world. The first ones appeared about 1880 and were cheaper than the first keyboard typewriters. Once Remington and Underwood got their act in gear and introduced cheap yet reliable machines in the early 20th century, the index typewriter disappeared. And blind students learned to touch type… just like their sighted classmates.